The Rough Rider Snowmobile Club is an organized group of sledders in the Bismarck/Mandan Community since 1968. We maintain trails connecting to the communities of Wilton, Wing, Sterling, Lincoln, and Moffit. Please follow us on FaceBook for current events and daily information. 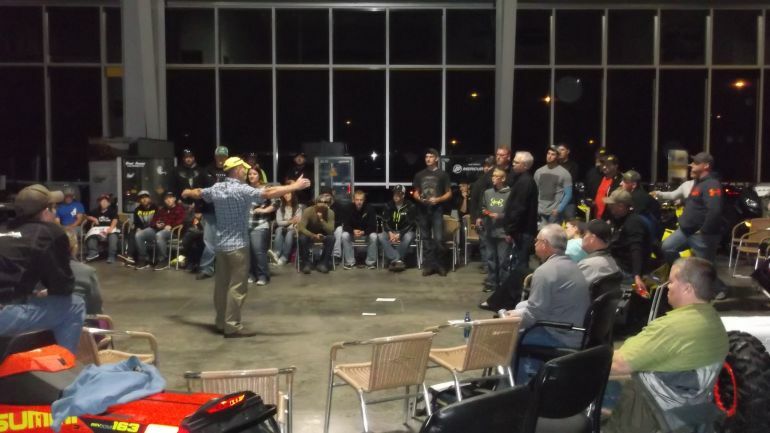 SPORTSMAN SWAP MEET - OCT. 27, 2018!!! OPEN TO ALL TYPES OF RECREATION!!! 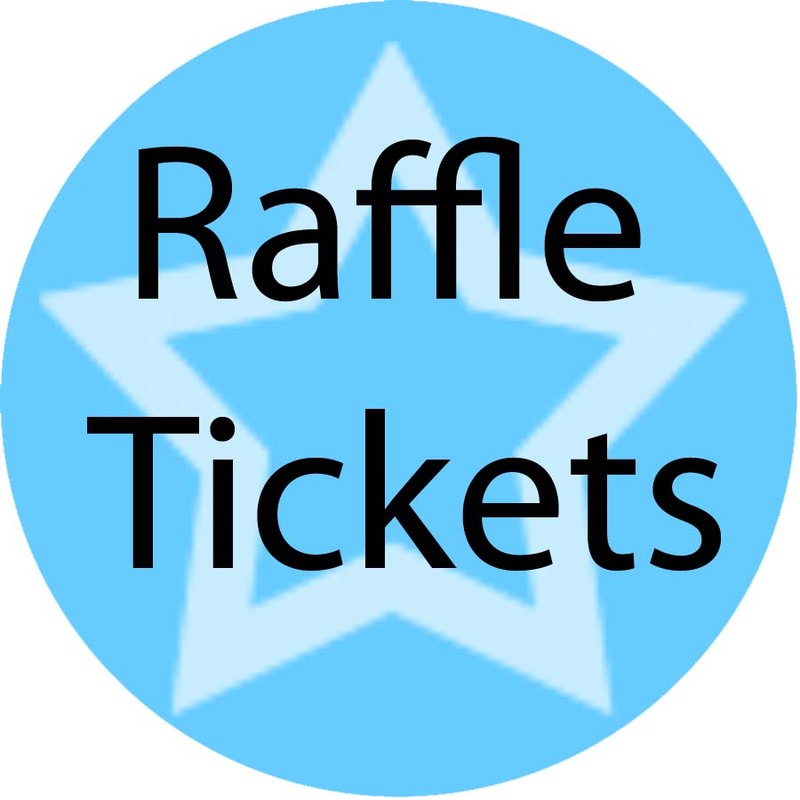 Raffle tickets on sale now through December 12, 2016. 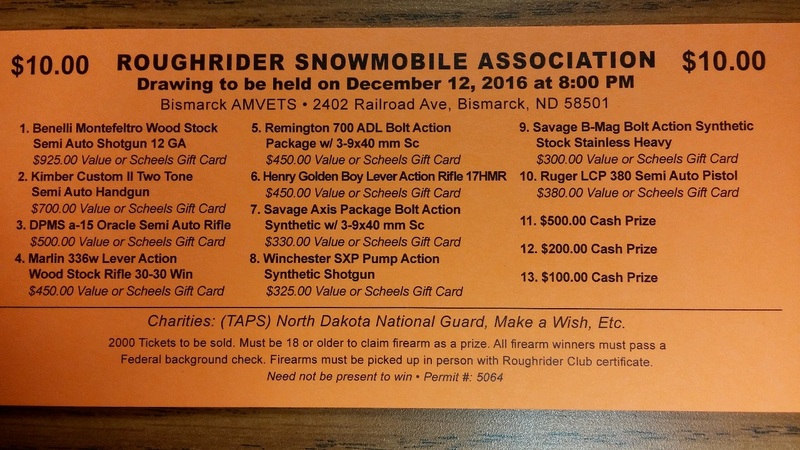 The prizes don't get any better than guns and cash! Use the gun value on a Scheels Gift Card for anything in the store! Contact a club member or Al Hoesel at 701-391-8713 for your ticket purchase today! If you're a member and need tickets to sell, contact Al Hoesel. 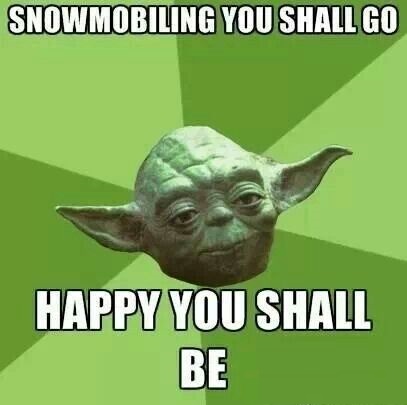 September 1 is the official start of the new snowmobiling season for the club. Current members: please renew your membership as soon as possible. Membership dues can be paid by mail or in person at one of the club meetings. We would love to see some new faces at the club meetings! Thank you! And here's to an exceptional year of snowmobiling!! 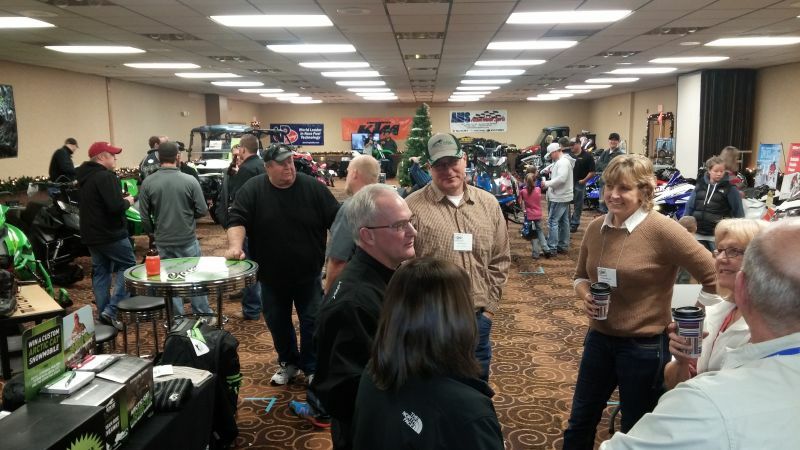 On December 4 & 5, 2015 SND and the Rough Rider Snowmobile Club hosted the 37th State Convention at the Ramada in Bismarck. 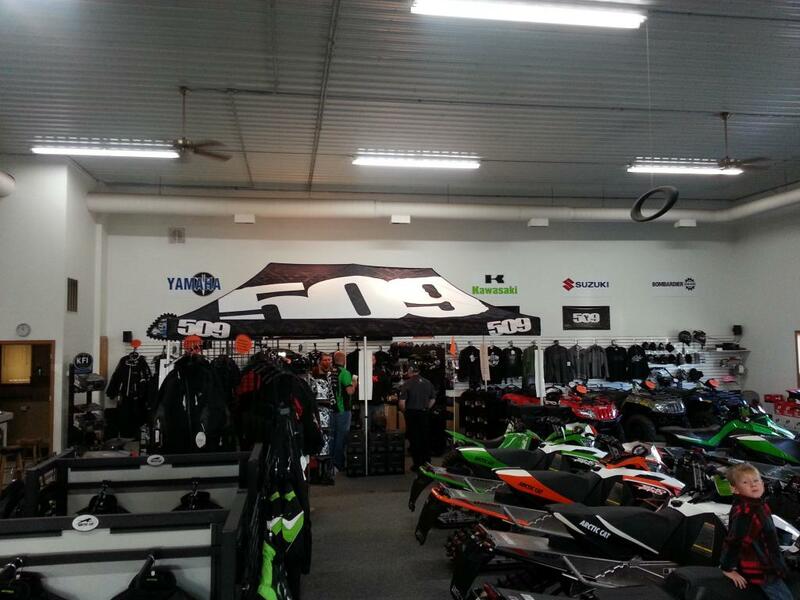 The vendors had awesome displays of the new sleds and apparel! doing a meet & greet on Friday night and each did a presentation on Saturday. The Fertile Turtle award was won by the Rough Rider Snowmobile Assoc. for $2000, with $1000 going to ND TAPS, $500 to Ruth Meier's, $250 to Aid, Inc., and $250 to Care and Share. The club received a Medallion coin from the ND Parks and Rec for working with the kids who attended the Snowmobile Safety Certification Course. 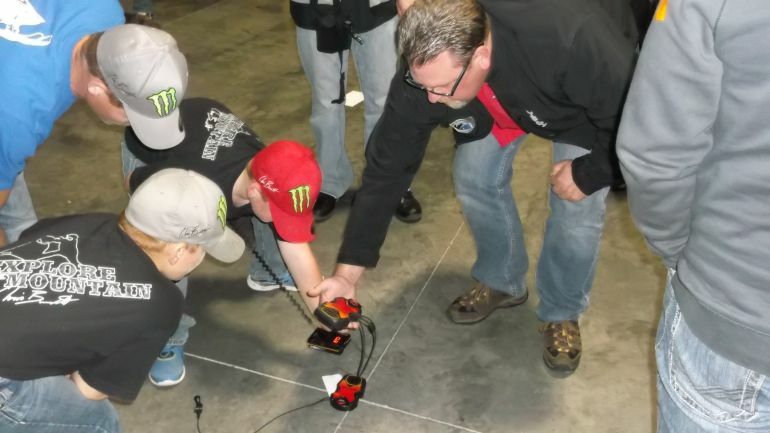 The future of our sport relies on our youth and it all starts with safety education. Way to go Rough Riders!! 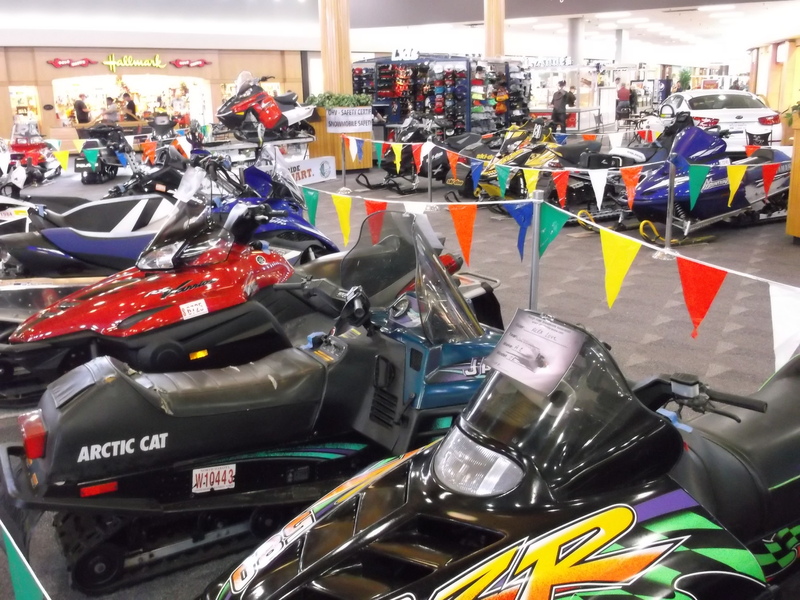 On October 24, 2015 the Rough Rider Snowmobile Club hosted its 5th Annual Show n' Shine at the Gateway Mall. 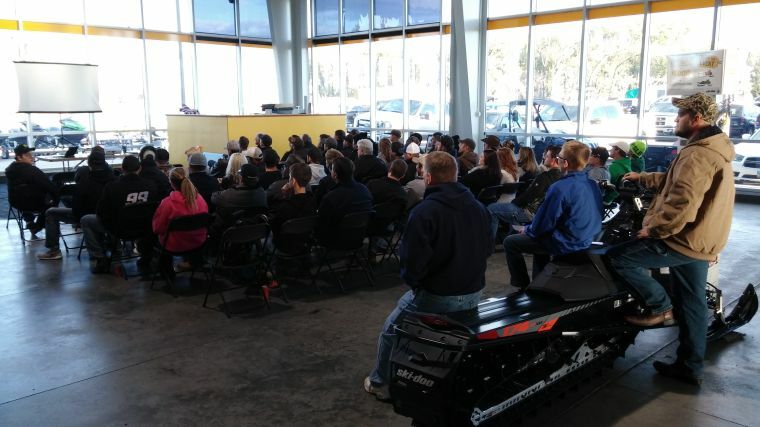 A full house at BRP's free Avalanche Safety Class. 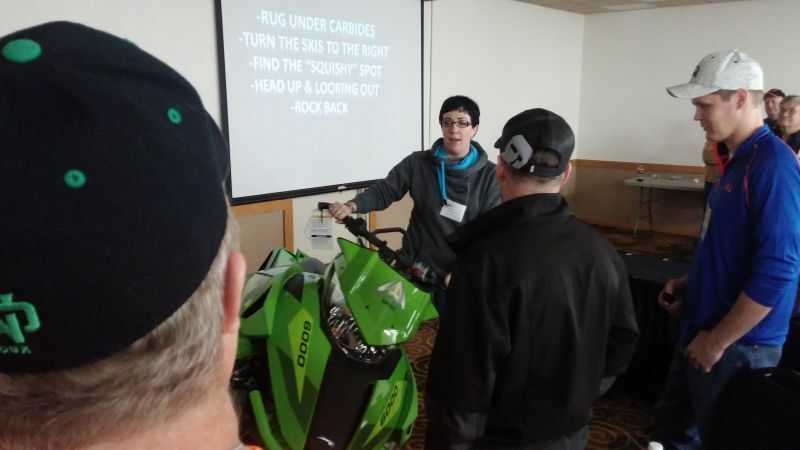 sponsored by BRP and was FREE to ALL snowmobilers. 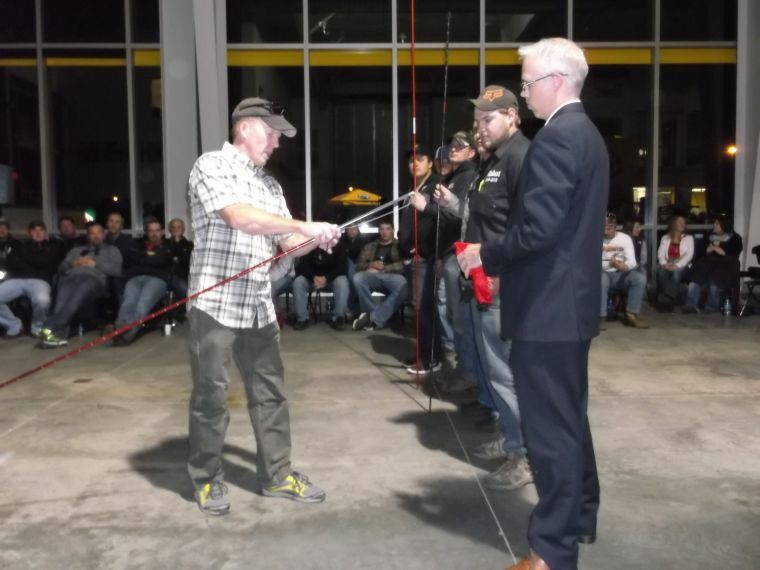 A big THANK YOU to Moritz Sport and Marine, BRP, and Mike Duffy! What a fun event and a rare opportunity!! 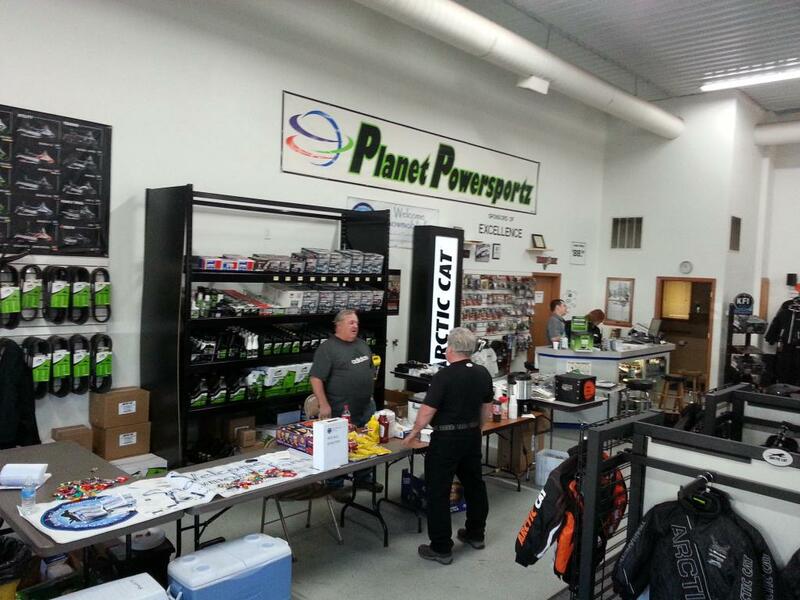 sleds AND ATV/UTVs from all four manufacturers in one place?!! Thanks to the Gold Sponsors and our members for making this day possible! RRSA members are interviewed by local TV station and give safety tips and help promote safety on and off the trails. 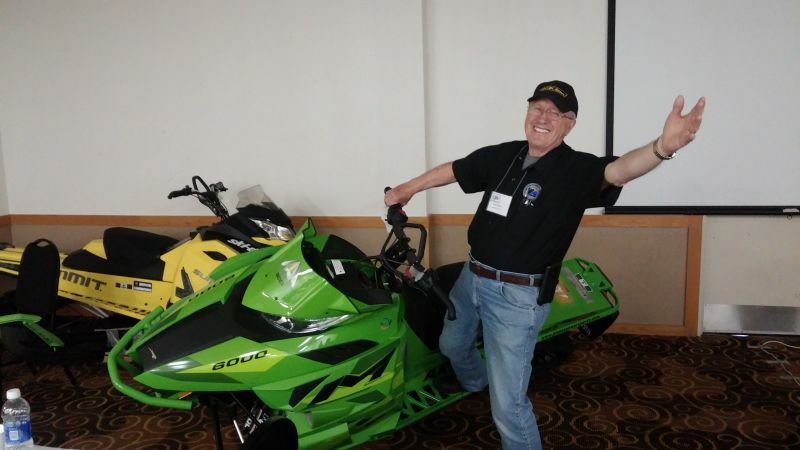 Al Hoesel, Snowmobiler of the Year! 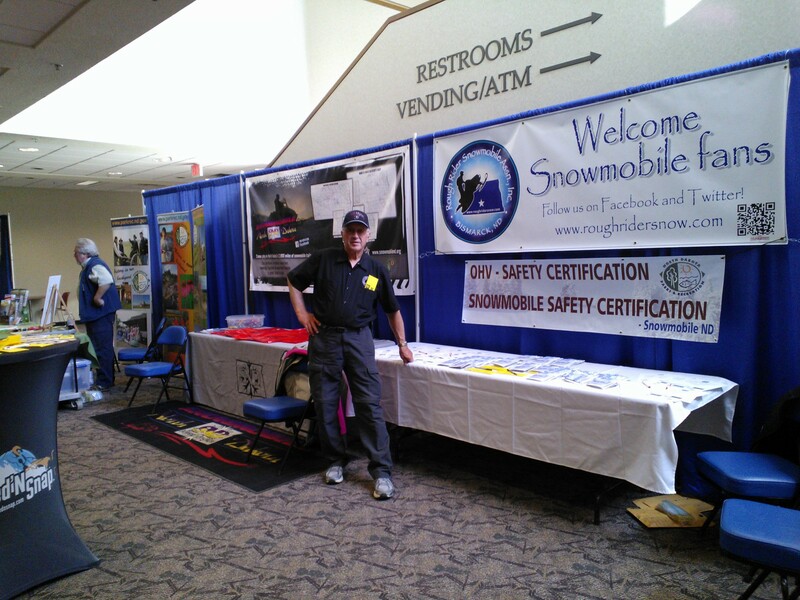 with the SND Snowmobiler of the Year award at the state convention. 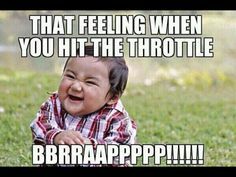 and preserving the sport of snowmobiling. CONGRATS, AL!! A well-deserved recognition! A BIG weekend for the Rough Riders! and provided FREE hot dogs, pop/water, and chips at this event. On Saturday and Sunday, the club hosted its 4th Annual Show n' Shine at the Kirkwood Mall. This event is always exciting and a great way to get everyone thinking snow!! and to everyone for coming out! Nearly all of the signing for our trail system has been completed! THANK YOU to all the awesome volunteers who helped!!! Another full house at BRP's free Avalanche Safety Class. 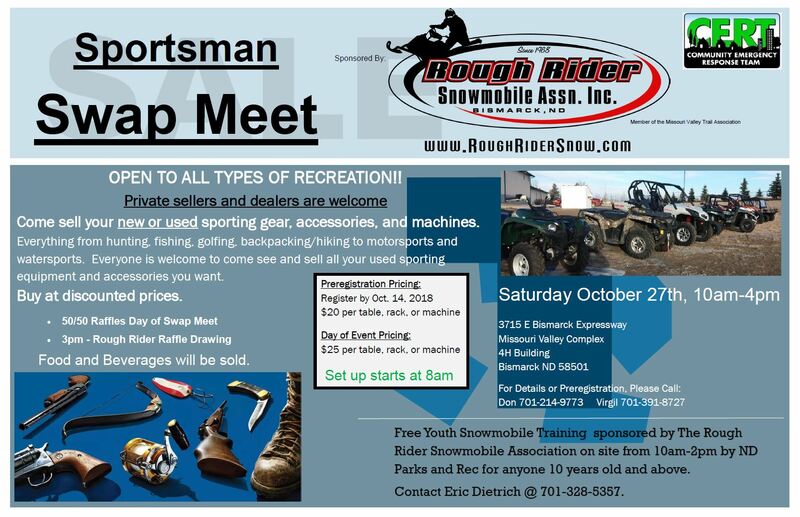 The Rough Rider Snowmobile club provided FREE hot dogs, pop/water, and chips at this event. The club provided FREE hot dogs, pop/water, and chips. and test ride the new Victory motorcycles!! Missouri River Valley Trail System. We use a Tucker-Terra groomer supplied to us by Snowmobile North Dakota.